The LISP language is designed primarily for symbolic data processing used for symbolic calculations in differential and integral calculus, electrical circuit theory, mathematical logic, game playing, and other fields of artificial intelligence. 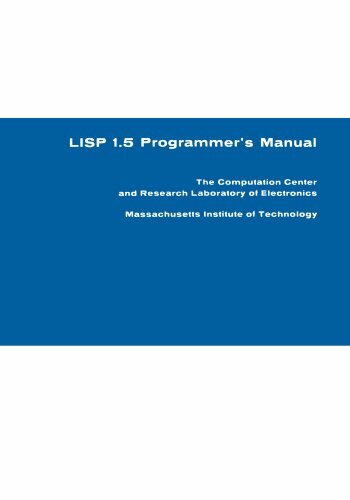 The manual describes LISP, a formal mathematical language. This tutorial is written for the professional programmer. It introduces the ANSI Common Lisp standard. David Lamkins explains why Lisp is by far the most powerful industrial strength tool available for advanced software development. LISP is a remarkable and powerful language, because not only does it govern the operation of a computer, but also it is a mathematical language of great power for processing processes in mathematics, logic, and symbol manipulation in general.